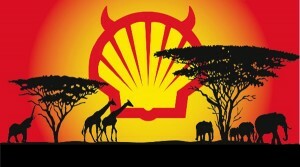 An oil industry watchdog, Platform of London has accused Royal Dutch Shell, the parent company of Shell Petroleum Development Company of Nigeria (SPDC) of funding armed gangs, which had fuelled human rights abuses in Nigeria. The company, the biggest operator in the West African nation’s oil industry, Shell Nigeria, has denied the allegations. Platform, a London-based non-governmental organisation monitoring the oil and gas industry, in a 75-page report made available to the media yesterday said the Anglo-Dutch major paid government forces that have attacked, tortured and killed Nigerians living in the creeks and swamplands of the Niger Delta. ‘Basic company errors have exacerbated violent conflicts in which entire communities have been destroyed. Goods and services worth billions of Naira have been lost in revenues to the government and oil companies, which had sent shocks to the global economy,’ the report said. ‘While primary responsibility for human rights violations falls on the Nigerian government and other perpetrators, Shell has played an active role in fuelling conflict and violence in a variety of forms,’ Platform said. The report alleged that Shell regularly assisted armed militants, in one case in 2010 transferring over $159,000 to a group credibly linked to militia violence. 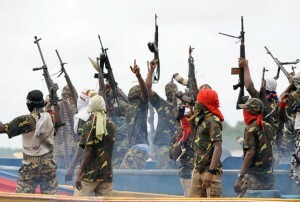 The report said Shell sided with clashing gangs, picking the more powerful group to help protect its oil infrastructure. Shell denied the allegations, saying it respects human rights wherever it works but acknowledged that sometimes its actions caused tensions between communities in Nigeria. The company said it would look into recommendations made in the Platform report. ‘We have long acknowledged that the legitimate payments we make to contractors, as well as the social investments we make in the Niger Delta region, may cause friction in and between communities. We nevertheless work hard to ensure a fair and equitable distribution of the benefits of our presence,’ Shell said in a statement in response to the report. Investigations revealed that Niger Delta a vast wetlands region in southern Nigeria which ranked the worlds second largest wet land after Mississippi in the Gulf of Mexico in the United States where thousands of kilometres of waterways and creeks vein through communities where many live on less than $2 a day, despite the wealth beneath their feet.